GALWAY SINGER Deirbhile Ní Bhrolcháin releases her wonderful new album Starlight Falling/Coinnlíní Ceoil 1, which sees her deliver spellbinding versions of some of her favourite songs as Gaeilge and in English. The album - to be launched at a gig in The Crane Bar, Sea Road, tomorrow evening - features covers of songwriters like Luka Bloom, Mick Hanley, and Richard Thompson, as well as traditional and sean-nós songs. If that represents a diverse range, what pulls everything together is that the album is Deirbhile’s response to the loss, in a comparatively short time, of three people very close to her - her mother, sister, and dear friend Conor Maguire. The album acts as a loving act of remembrance and is a beautiful blend of sorrow and sweetness, while it ends on the optimism of ‘Bog Braon’, celebrating the younger members of her family. 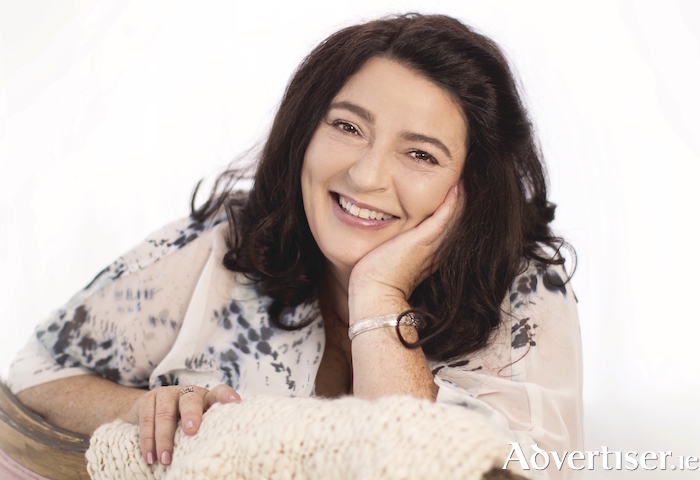 Raised in a musical family, Deirbhile has long been a highly regarded figure in Galway singing circles, both as a member of Galway Baroque Singers and Cois Cladaigh, and as a traditional singer. She has appeared on a number of albums and recorded one previous solo release, 'Smaointe'. Over a Sunday coffee, she talked with me about Starlight Falling, and began by saying what drove the choice of material. Starlight Falling 1 (Pt II is due next year ) is available from Powell’s and http://deirbhile.net.